Mr William (Bill) Berry (12/5/1920-2/9/1999), was long standing Secretary of The Graduate Union between 1948 and 1984. One of Bill’s prime goals was to form a college, where post-graduate scholars could live permanently and close to their university. 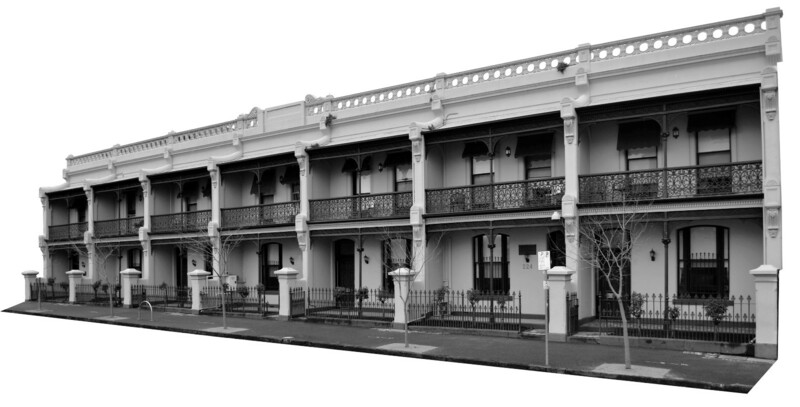 The Gladstone Terraces were purchased in 1957, marking 2017 the Diamond Jubilee of Graduate House, which was officially opened on 13 July,1962. Bill was appointed First Secretary Warden of the college, initially housing just seven postgraduate scholars from various countries. The terrace section of the college has been named the William Berry Wing in honour of Bill’s remarkable commitment to the Graduate Union and Graduate House. Nowadays these terraces consist of 45 residential rooms, as well as numerous Members areas including the MV Anderson room, the Johnston Library, resident’s kitchen and games room. After his retirement, William Berry founded Past Graduates and Post Graduate Incorporated which in 1993 became trustees of the Post-Graduate College Trust. The purpose of this trust was to raise funds to support the upkeep, refurbishment and maintenance of the William Berry Wing. After Bill’s death in September 1999, the Post-Graduate College Trust became known as the William Berry Post Graduate College Trust in recognition of his service to the Trust.. In 2004, William Berry’s long standing Assistant Secretary-Warden Miss Barbara Funder and Mrs Heather Kudevitta were appointed Trustees of the William Berry Post Graduate College Trust. After the passing of the Graduate Unions beloved Barbara Funder in September 2016, The Graduate Union Council resolved to change the name of the Trust from The William Berry Post-Graduate College Trust, to the William Berry and Barbara Funder Post Graduate College Trust. This name change reflects decades of enduring team work undertaken by Bill and Barbara to advance The Graduate Union and the University of Melbourne’s first and only post-graduate only college. The Graduate Union of the University of Melbourne Inc is the current trustee of the William Berry Post Graduate College Trust. We would like to thank all former trustees and those who have donated to the Trust, thus contributing to the upkeep and maintenance of the stately William Berry Wing. Donate to the William Berry and Barbara Funder Post Graduate College Trust today. The William Berry & Barbara Funder Post-Graduate College Trust provides for the ongoing upkeep of our stately Victorian terrace buildings. Funds from this Trust are put towards refurbishment and maintenance of the residential rooms and common areas. We are grateful to our Members and friends for their continued support of our college, Graduate House, through their donations and bequests. I authorise The Graduate Union to send me a reminder to send a cheque or put money into The Graduate Union account. Name the transfer as your Surname and the word WB Trust.